These are the moments that make my heart soar! 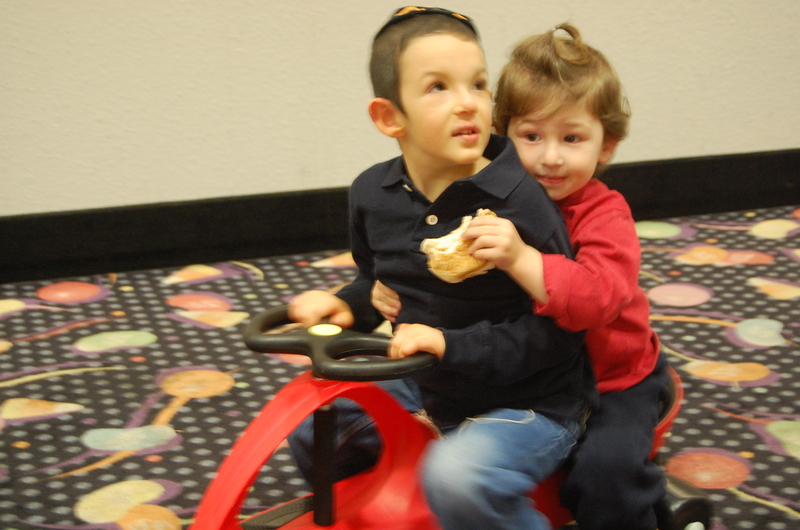 We were at a Chanukah event and took along our little plasma car as this is Chaim Boruch’s only mode of transporting himself as we eagerly await a walker. Before we knew it, we saw his little brother jump aboard and we watched as the two little ones took off with giggles and big smiles. The beauty of living life and appreciating life’s most wonderful moments!